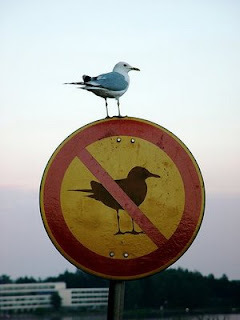 Have a a look at this rebel segaull bird. Totally ignoring the No Bords Sign. Now thats funny.